We have put together a list of some of the best keepsake ideas to capture the precious moments. If you have any great keepsake ideas, photos or videos . Please get in touch, we would love to hear form you! It's a must have to include those precious prints in a memory book or journal! Looking back it's amazing to see how little the prints are! Thank you to the lovely @ulipek.style on Instagram who has taken this photo of little Sophia's gorgeous print using our Pink ink-less print kit. These little prints are just scrumptious!! What a beautiful way to show off those little prints! The framed keepsake also makes for a great gift for Grandparents or to take to work! Simply add your baby or child's details on a black A5 / 5.8 x 8.3 in sized paper setting on the computer program like word. Once you have got the look you want run the special paper through the printer and add the prints using the BABYink™ Ink-less Print Kit . Top tip - run a a test one before using the special paper just in case you need to make any changes! Make a creative greeting card! What a unique and thoughtful way to give well wishes! Simply draw or print on the special paper provided in our BABYink™ Print kit's to make the perfect greeting card for someone special! 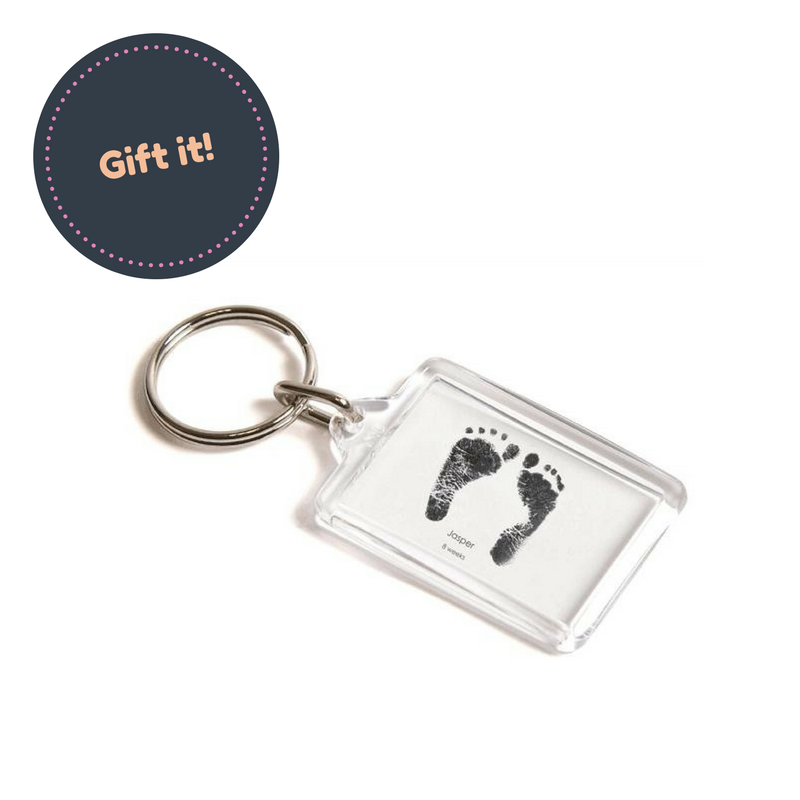 It's an easy, affordable and unique gift idea to add your BABYink™ prints to a mug, keyring and so on. These days its easy to add a photo to lots of these types of gift products and most major retailers offer this type of service. 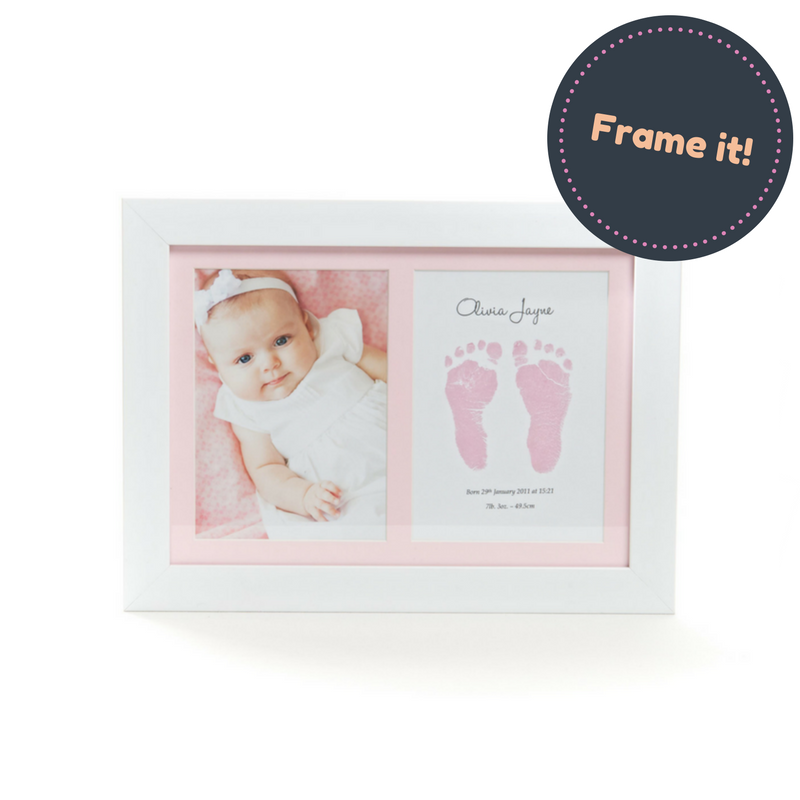 Simply scan the prints, add them like a photo and you have the perfect customised keepsake gift! We also offer a 'Customization Service' where you can scan and send in your prints with instructions for our graphic designer to help you create the perfect custom keepsake. Add the print to a custom Jewellery piece. 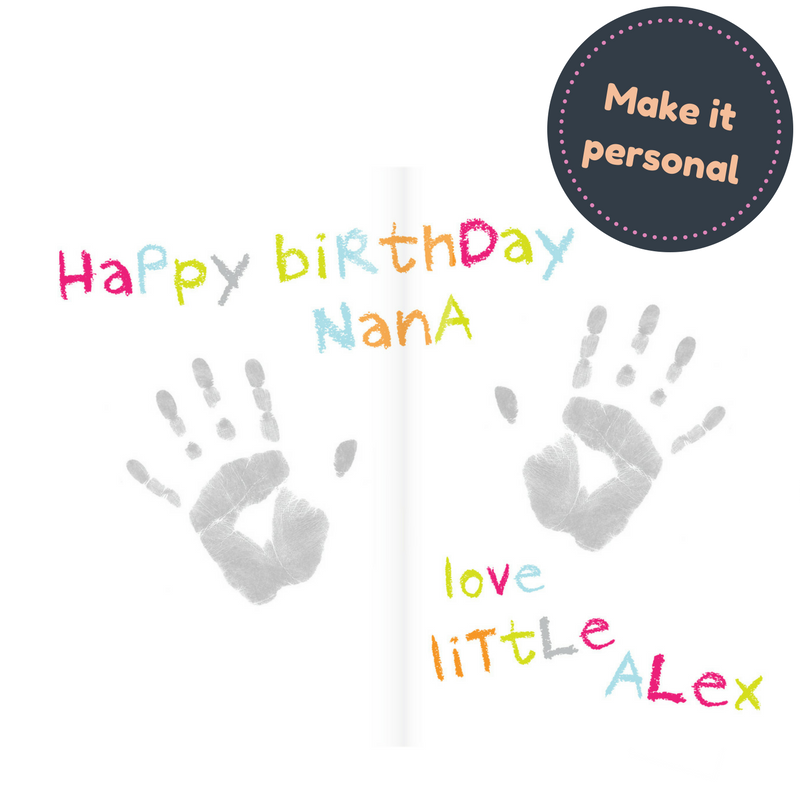 Keep them close to your heart - A beautiful way to turn your BABYink™ prints into a special keepsake. The BABYink™ team can provide this service. 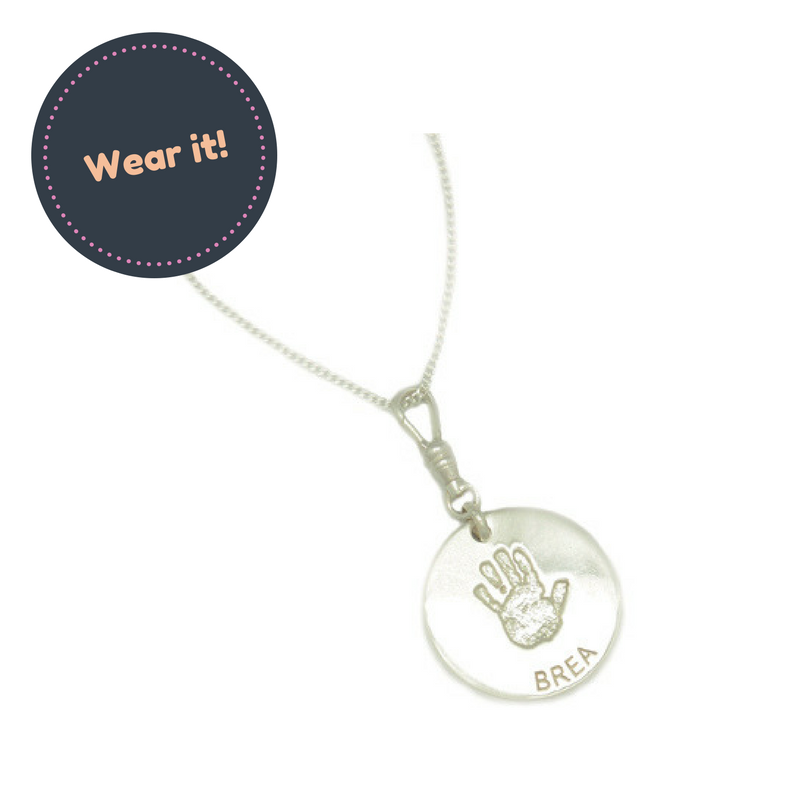 Simply upload the print and our jewellery partners can help you turn it into a wearable item. This makes the perfect Mother's Day or Father's Day gift in particular!